The members of FSS are informally known as ‘the Board’. They are appointed by Scottish Ministers, through an open, public process. The Board provides FSS with strategic direction, oversight and governance. Our Board consists of a Chair and seven members. The Board meets regularly, in public. See our Board Meetings page for information on future and previous meetings, or search for Board agendas and papers. The Chair’s post is part-time for eight days per month, and is paid at £289 per day. The members’ posts are also part-time, for four days per month, and are paid at £219 per day. Board Members must adhere to the FSS Code of Conduct. You can read more of the Board Members Register of Interests and Gifts and Hospitality Register. Ross Finnie has spent over thirty years in public life, and brings a wealth of experience to Food Standards Scotland. Ross is currently a member of the Greater Glasgow and Clyde Health Board, engaged in public health issues such as foodborne disease, diet and obesity. For eight years, Ross was the Scottish Cabinet Minister responsible for the Environment and Rural Development which included responsibility for food and meat traceability. He was also an opposition spokesperson on Health for four years, promoting, among other things, food standards and food safety. 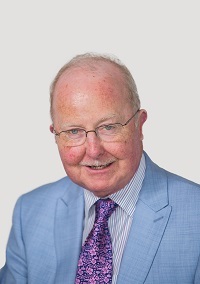 Ross is currently a non-executive member of the Water Industry Commission for Scotland and of the Greater Glasgow and Clyde Health Board, with a time commitment of four days per month for each post. Ross is also a non-executive member of the Glasgow City Integrated Joint Board. A graduate of the University of Glasgow, George Brechin joined the Department of Health in London, then in 1988 returned to Scotland to the NHS in Lothian. He retired in 2012 after 10 years as Chief Executive of NHS Fife. Most recently, he was interim Chief Executive of the State Hospitals Board, a post he left in March 2015. He brings to the new body his experience of the NHS, of joint working with local authorities and of community and public health issues. He has significant knowledge of Scottish public sector governance, having during his career led the creation of three new NHS bodies. 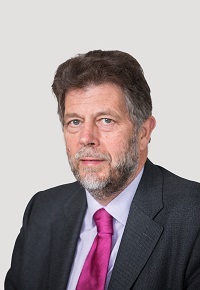 His role as non-executive Board member of the Health and Safety Executive gives him experience of the working of a well-established regulator. Marieke’s career in Scotland spans over 20 years in the public and voluntary sector in a wide range of roles including Director of Consumer Focus Scotland and positions in the Scottish Government, Office of the Scottish Charity Regulator, Shelter Scotland and Citizens Advice Scotland. 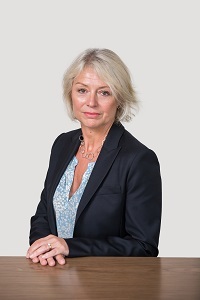 She brings expertise in corporate governance, regulation and in the management of organisational change, and has experience of representing the consumer interest in a range of fields. 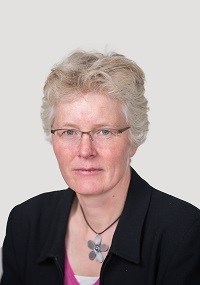 Marieke is currently a non-executive member of the board of Scottish Fire and Rescue Service and the Scottish Legal Aid Board. Recently retired, Heather has a long-standing interest in food and the role it plays in health and wellbeing, and comes to FSS following a 33-year career in the NHS, where she worked initially as a dietician before moving into strategic planning and general management. Her formal qualifications include a BSc in Nutrition and Dietetics and an MBA, both of which she will benefit her current role. Heather has previously served as a Director on the Board of Trustees of Voluntary Service Aberdeen (now VSA) and was an inaugural Director of Transition Extreme, where she gained experience in the development of a new organisation. She has also been a member of national task forces and working groups, most recently as co-Chair of the National Health and Wellbeing Outcomes Group. Heather is also employed by Buchan & Associates a specialist healthcare consultancy as a strategic healthcare planner and organisational change consultation. Dr Carrie Ruxton is a freelance registered dietician with more than 20 years’ experience. Carrie has worked with a diverse range of food companies to provide advice on communications and product development, as well as with NHS boards on their obesity strategies. 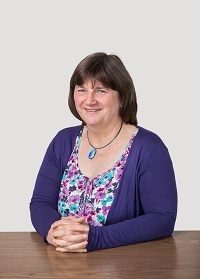 Carrie served as a member of the Scottish Food Advisory Committee from 1 March 2008 to 31 March 2015. Several of her public sector projects have involved stakeholder engagement and Carrie hopes to bring this experience plus communication skills to the Board. 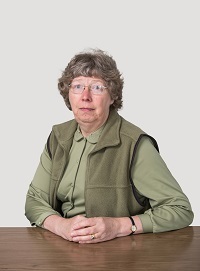 Over the last 17 years, Sue has had a number of non-executive roles in the water, environment and rural sectors in Scotland, including as a founder member of the Cairngorms National Park Authority. She acted on behalf of consumers as a member of Waterwatch Scotland. Sue has previously served as Acting Chair of Scottish Natural Heritage. She is currently a member of the Local Government Boundary Commission for Scotland and is a member of the Customer Forum which negotiates with Scottish Water on behalf of customers regarding future spending plans and charges. Sue lives on Deeside in Aberdeenshire and is a keen skier and hill walker. Sue has skills and knowledge of governance, strategy and communications including stakeholder engagement, and also has strengths in environmental science. Anne Maree Wallace worked for 35 years as a doctor in the field of Public Health Medicine. She has extensive experience of working with NHS professionals as well as many other partners such as the local authorities, Scottish Government and the third sector. She held a number of posts, including Consultant in Public Health Medicine in NHS Lothian, Acting Director of Healthcare Planning, Director of Training for Public Health in Scotland, Clinical Lead for the Scottish Public Health Network, and latterly, Director of Public Health for NHS Forth Valley. She presently has her own business working as a coach and mentor with individuals and teams. She was previously a non-executive director for NHS Health Scotland. 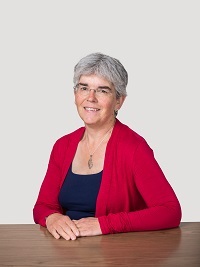 Anne Marie brings both a long-standing interest and expertise in the field of public health, health inequalities and nutrition, and also a number of years’ experience as a non-executive director. Louise Welsh has worked at a high level in the food industry for over 15 years, including five years in senior management at Morrisons, one of the UK’s big four supermarkets. She has an in depth knowledge of all stages of the food chain: from the farm, through to processing and all the way to the end consumer. Prior to moving in to the food sector, Louise was a journalist and worked for BBC Scotland. She is a skilled communicator and negotiator. Louise was the first woman to be appointed board member of Quality Meat Scotland, the red meat industry body. She was appointed Deputy Chair of FSS in June 2016. She has also been appointed as a board member for the Moredun Foundation. The Board has established an Audit and Risk Committee (ARC) as a Committee of the Board to support them in their assurance responsibilities by providing independent advice. The ARC is responsible for reviewing in a non-executive capacity, the comprehensiveness of the executive’s assurances on governance, risk management and the control environment. It is also responsible for reviewing the integrity of financial statements and the annual report. The ARC will meet at least four times per year.